Gun ownership, and gun rights have become one of the hottest topics in the news lately. Perhaps that’s because of the increased number of shootings happening in the world today, or maybe because the political season is ramping up rather quickly. Whatever the case, gun ownership is one of the topics where people are either completely for it, or completely against it. This post isn’t meant to side with one group or another. The purpose of this post is to present some interesting data we found on Five Thirty Eight. 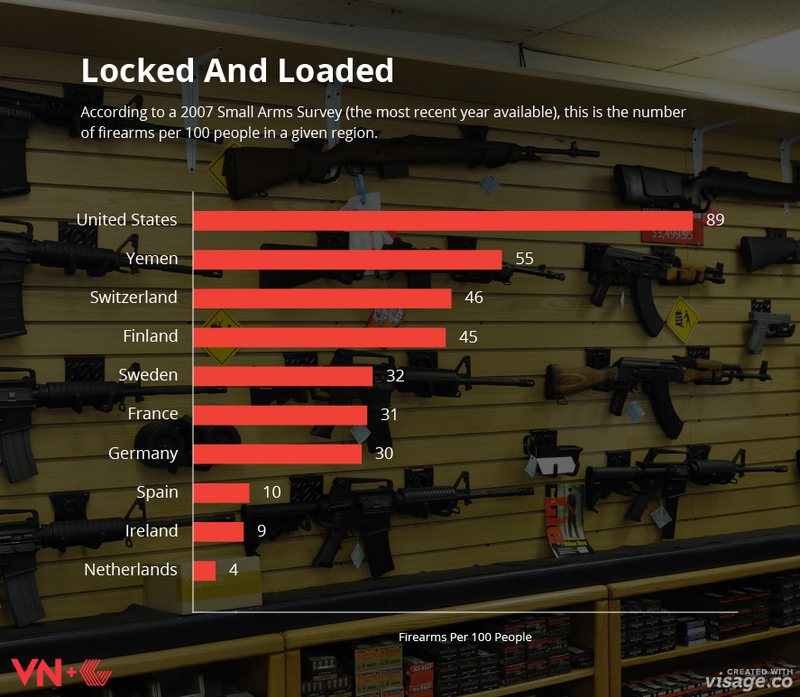 The dataset is firearms per 100 people. Most people correlate firearm ownership with an increase in mass shootings or terrorism. What’s interesting is that Switzerland and Finland have some of the highest firearm ownership out of most civilized countries, but have extremely low instances of mass shootings. Not surprising is the United States having the highest amount of firearm ownership, and the highest amount of mass shootings among civilized countries. Take a look at this gun ownership infographic and let us know what you think in the comments.